It's a bird! It's a plane! It's a superhero drawing book! 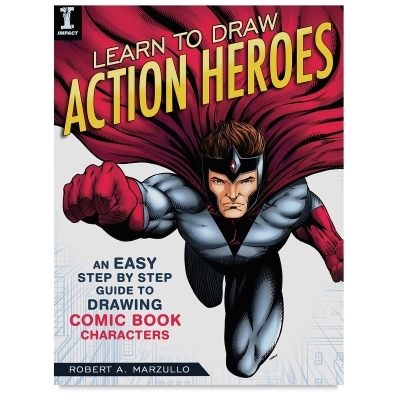 In Learn to Draw Action Heroes , professional comic book artist and YouTube guru Robert Marzullo teaches the building blocks of creating your own action heroes and explosive comic book scenes. Easy to follow demonstrations break down advanced drawings into basic shapes and shading for you to replicate and master before applying your newfound knowledge to create your own dynamic comic book characters and settings. Author — Robert A. Marzullo.